Amber is a first-generation Penn Stater--class of 2016--studying broadcast journalism and business. She likes THON and traveling and reading and writing and music and words and rambling. Today’s the day for one of THON’s alumni groups! The Dance Marathon Alumni Interest Group (DMAIG) is starting a new fundraiser FTK called “DMAIG Mosaic,” which is planned to be a large collage of pictures submitted by THON volunteers, alumni, and supporters. Penn State’s very own Singing Lions cheerleading team has a mission to spread Penn State cheer on and off campus through all sorts of performances, and its most popular event is just around the corner. The Singing Lions’ annual Love for Lexi cabaret is this Friday, Nov. 14 at 7 p.m. in 102 Forum. It’s that day of the year again: the day we start officially counting down in the double-digits for the biggest and best party of the year! This Wednesday, November 12th from 11 a.m. to 3 p.m. in HUB Heritage Hall, THON student-volunteers will all culminate together to celebrate 100 days until THON Weekend. 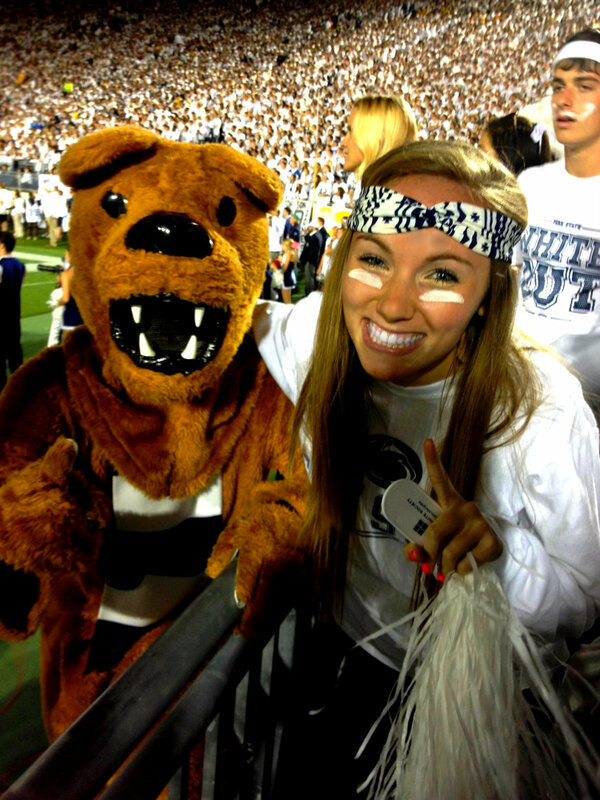 Junior nutrition major Alyssa Ardolino is the Penn State ambassador for Changing Health, Attitudes, and Actions To Recreate Girls (CHAARG). Below are a few of the special interest orgs that have made a big impact for this THON season’s total and have drastically improved from their previous fundraising years.